We are inspected and proud to be under AKC compliance for their rules and regulations. We are very proud of the dogs that have AKC titled here so far. Stay tuned for more to come as we are always training and bringing up new puppies for our programs!!! We take a lot of pride in the bloodlines that we offer and spend a lot of time with both our dogs and their pups to ensure quality companions. All pups are very socialized from birth and we try hard to have them already introduced to many other things like water, wings, multiple sights and sounds and riding in vehicles. 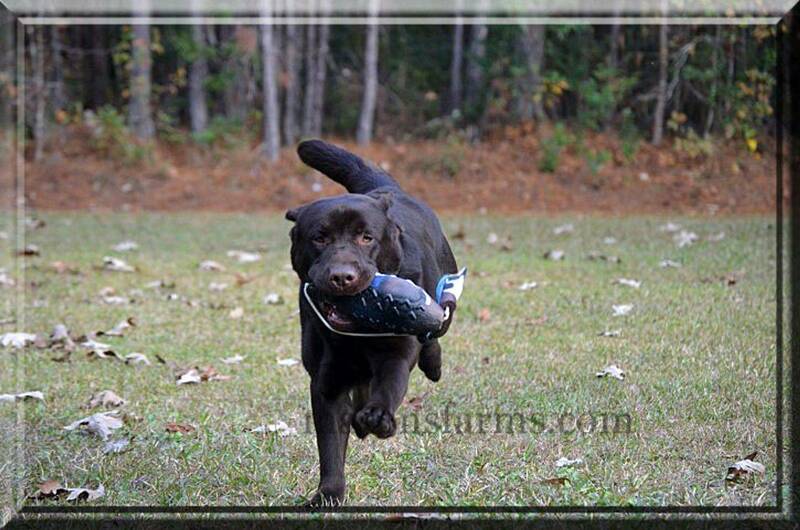 Our goal is to produce the true "DUAL" purpose labrador with the drive and desire for retrieving and the conformation to top it off. A lot of our bloodlines carry not only the hunting Field Champion and Master Hunter type of pedigrees, but they also carry the English Champion titles as well as Champion Master Hunter lineages. We also have several import lines that we have brought into our program. Please contact us for any questions that you may have. 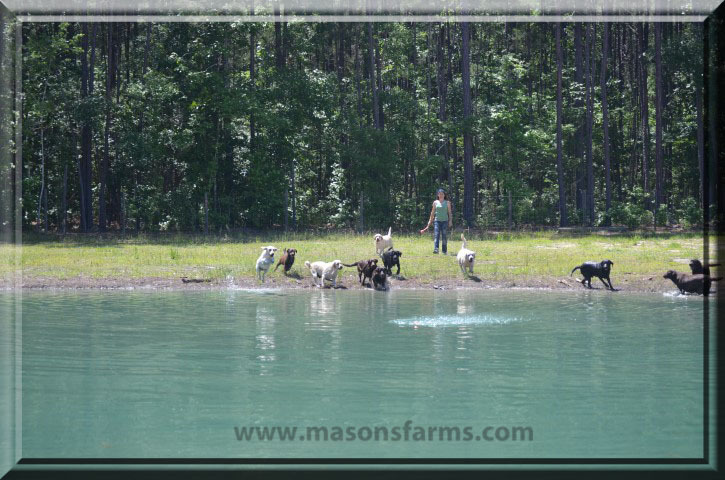 Our dogs are first and foremost our companions, but they are also our working retrievers, herders, protectors, conformation show dogs, deer trackers and deer shed finders. We are continuously working on getting testings done with our dogs and on training and titling many of our own dogs as well as helping others. All of my pups are registered AKC. All first shots and wormings are done and kept up to date before pups go into their new homes. We do a 4 week parvo shot as well as a 6 week all in one shot before our babies go into their new homes. They leave already micro chipped with a care bag to help you get started. 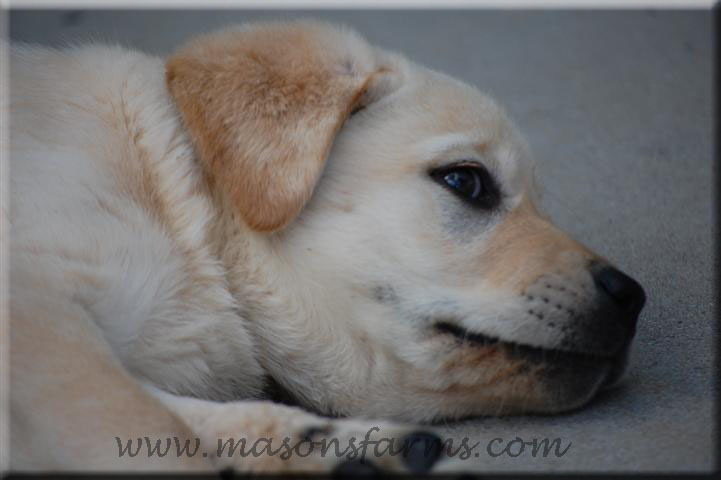 All of our puppies come from proven working and champion pedigrees. 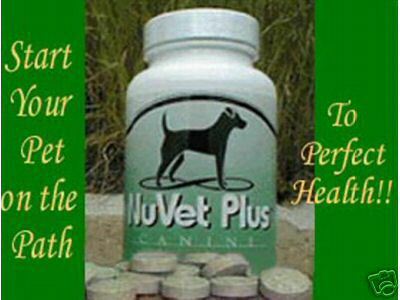 We do full panel testing on all of our breeding dogs to ensure as healthy puppies as possible. Once known as the "St. John's Dogs," the labrador retriever is one of the most popular breeds in the United States. Originally from Newfoundland, Canada the labrador was trained to jump overboard into the icy waters to haul fisherman's nets to shore. Specimens were brought to England in the 1800's by English ships coming from Labrador, where the dog's fine retrieving instincts were developed. One of the best family dogs and companions because of their gentle, loving disposition. They are also an outstanding obedience and field trial competitor. Their smooth, short-haired, double coat is easy to groom. Comb and brush regularly with a firm, bristle brush, paying attention to the undercoat. Bathe or dry shampoo only when necessary. These dogs are average shedders. We offer a variety of colors here at the farm now. I have the traditional yellow(or white), chocolate and black. The art of training is to perfect the natural ability of a dog which is what we strive to do here. 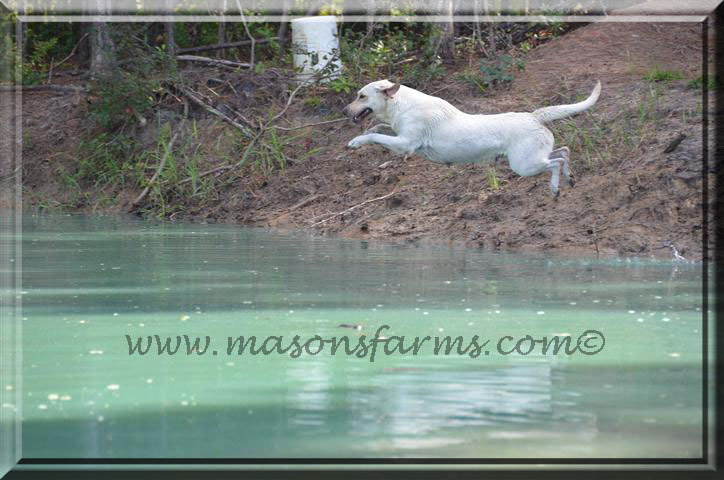 Our Dutchess who just Loves the water and retrieving! ALL PICTURES ON THIS WEBSITE ARE PROPERTY OF MASON FARMS. Please add us to your facebook friends for even more updates! We are open Mon-Sat by apt only and closed on Sundays.